Manufacturer of Genuine parts , pens , watches , Clothing & accressories , roadside assistance and star ease. 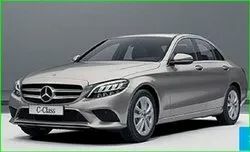 A hands-on team of experts trained by Mercedes-Benz ensures that your dream car gets the services it deserves. Our state-of-the-art work-shop is staffed with people who are passionate about top-class service and exceptional customer care. At Silver Arrows, we focus on delivering the best service, within specific timelines and with a clear goal: complete customer satisfaction. 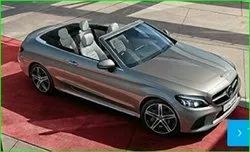 Every part is not only specifically designed for Mercedes-Benz, but also has to pass constant quality control checks to ensure that every Mercedes-Benz vehicle remains as safe and reliable as the day it first went on road. 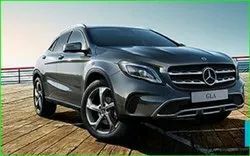 Mercedes-Benz Genuine Parts come with a warranty - in the unlikely event that the part should be faulty, it will be replaced under the parts warranty at no extra costs (T&C Apply). Mercedes-Benz has always stood for timeless elegance. Timeless elegance personifies the Lifestyle Collection. The Collection has items that complement every journey you take, making it comfortable and luxurious. And with our range of classically designed watches for men and women, that reputation is as well deserved as ever. Beautiful design, perfect handling, leaves a lasting impression. Nothing else performs like a Mercedes-Benz pen. The pens are a selection from the exquisite range designed exclusively for Mercedes-Benz pens. The Mercedes-Benz Road side assistance programme is the best in the auto industry in India. From 2010 onwards, all new customers will be covered under a unique programme for a period of 3 years from the date of purchase of the car. Old customers can also avail the benefits of the programme by buying the same from the nearest authorized dealer. The primary goal is to ensure that even if the vehicle is immobilized, whether at home or while traveling, any inconvenience to the customer & his family is minimized. The assistance services will be supplied 24x7 throughout the year, including on public holidays. The Star Ease programme, offered by our dealers, covers all your vehicle's basic service requirements, as prescribed by the manufacturer. Your vehicle is professionally cared for, remains in first class condition for many years and you are protected from unexpected costs.